If you are building a custom home we can help. Whether you are looking to have us do the install the plumbing system or if you are looking for plumbing fixtures we have what you�re looking for. 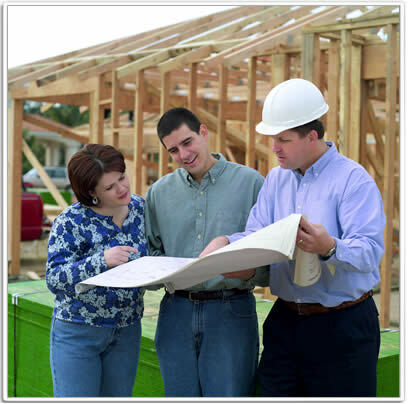 When you are building your new home, you will need plumbing contractors that you can rely on. The finest new homes call for exquisite bathrooms and kitchens, and they require quality plumbing engineering and workmanship. That's why if you are serious about having your home built properly. We are one of the contractors you need to speak to. Our reputation for quality work is second-to-none, ask us about our trade references from building contractors we have worked with going back over twenty years. Beautiful bathrooms take a careful touch and attention to detail. We can help you create your dream bathroom with fixtures and fittings featuring the best in modern bathroom design. Moreover, our innovative plumbing technologies can install the water where your design needs it, not where you're told. It can be the difference between a new bathroom you like, and new bathroom you love. To many it is the most important room in the home. As with bathrooms, they are certainly critical to the resale value of your home. But more importantly, getting them right can make your new home a pleasure to live it. Your new kitchen ought to be the perfect accompaniment to your taste, your home, and your lifestyle. Every time you turn on a faucet, you want quality you can feel. We can help you with both the fundamentals and the finishing touches - from high quality plumbing and drainage to designer faucets. Your plumbing may just be part of a much larger project, which is all the more reason to choose the seasoned new construction specialists. You need contractors that won't hold up the rest of the building project, and with us you can be sure you are dealing with the plumbing contractors of choice for building companies for over twenty years. You can be sure that your plumbing work will be finished on time and on budget. When you choose us to pipe the water supply in your new home, you get the latest in plumbing technology. How do these new methods benefit you? Longer Lasting With a 25-year manufacturer warranty and built to last more than 100 years, PEX fresh water piping is better suited for the needs of today�s residential water needs. PEX piping does not corrode like metal piping, and is dramatically more versatile. This all means fewer leaks and fewer problems in the years to come. The water coming from your faucets will be as clean as when it enters your home with our PEX water line installations. The pipes do a better job of resisting the build up of residue (they have lower friction and can withstand higher water velocity), and because they don't corrode and are non-toxic you can be sure of clean water for years to come. This is why this kind of piping is often now used in the construction of new hospitals. Installing a PEX piping system is more efficient that installing traditional metal piping - important if your construction project is on a tight schedule. Water hammer is a shock wave that occurs when a water valve is shut off, often causing audible banging in metal pipes. Because PEX piping is more flexible it can absorb these shock waves better, meaning less noise when you turn your faucets on and off. Even though you can't see the pipes, they are the water arteries of your home - and like so many things in life, doing it properly at the beginning can pay big dividends in time, hassle, and money in the years to come.